The Beginning Backyard Beekeeping (B3) program was developed by SBBA and is a radical and progressive departure from traditional, anthropocentric beekeeping courses and certifications that tend to focus on how honey bees can serve humans and not how we can help the bees in their time of struggle for survival. This four-week program is designed for both beginner and established beekeepers. The program will thoroughly provide beginners with all the practical knowledge necessary to feel comfortable working with honey bees in their own backyard. Established beekeepers will learn new ways of hosting and having honey bees that prioritizes the bees’ welfare above all us. 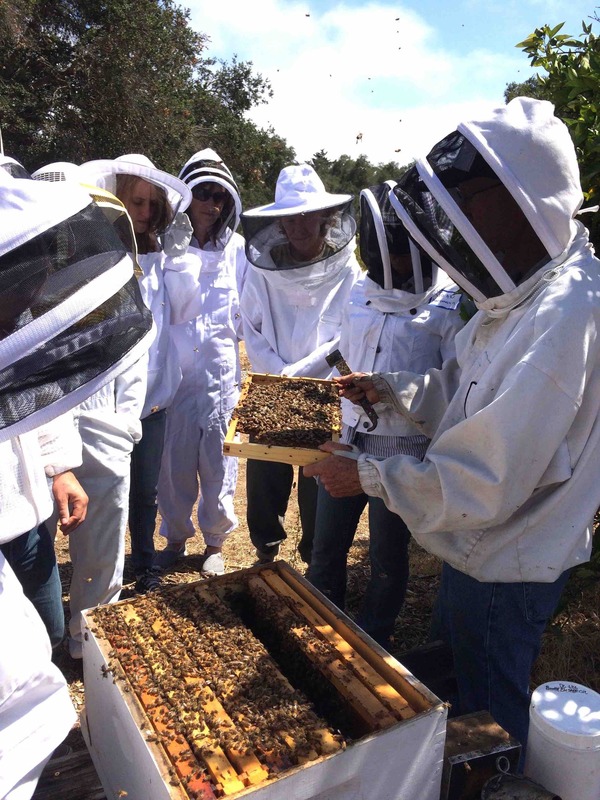 In addition to receiving 10 hours of training from Paul Cronshaw, Co-founder of SBBA and one of Santa Barbara’s most knowledgeable beekeepers, participants also receive a one year SBBA membership and site visits to SBBA apiaries for additional hands-on training and support. Starts Wednesday, February 5 and runs every Tuesday through to February 26, 2019.